What are the best superfoods? A term many have become familiar with over recent years is superfoods, but what exactly are they, and do they deserve such a status? Well there are indeed certain foods that do contain superior quantities of nutrients, phytochemicals, and antioxidants in comparison to other foods, which is where they get their superfood status from. 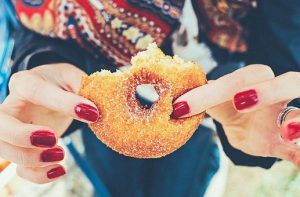 In this post, I have listed the top 6 that also happen to be pretty easy to sneak into you and your family’s diet without too much fuss. Eating the highly nutritious foods on this list every day, along with other antioxidant rich foods and you will soonbe bursting with health and vitality, and also looking glowing and youthful fast. For most of us the answer to this question is unequivocally a YES. Our vitality depends on a balance of around 50 different nutrients: these include calories, amino acids, essential fatty acids, vitamins and minerals. Deficiencies in the last 3 are very common and can lead to lethargy, a compromised immune system, and many other diseases. For energy specifically, hundreds of chemical reactions need to happen involving 30 different vitamins and minerals. The body needs these essential micro-nutrients to unlock the energy potential from the food you eat, and if just ONE of them is missing then vitality and optimal performance in both the body and brain simply cannot happen. Did you know, you are SUPPOSED to feel good? Yes, high value nutrition is absolutely crucial, but the problem is a lot of people haven’t a clue that they’re not performing at their optimal levels. They have lived a certain way their whole lives, yes they feel tired a lot, have brain fog, weight issues, anxiety, depression, aches, pains, and maybe a million other little niggles, but it’s become normal to them. This is a pretty sad situation, because this is most certainly not normal, and shouldn’t have to be either. You are supposed to have lots energy and vitality to live your life to the fullest, and not like you are just muddling through trying desperately to ignore the aches and pains, or worse, living off adrenaline or painkillers. Don’t allow this to become the norm for you, you deserve more and it CAN be changed if you make some changes to your diet. Also, very importantly you will need to exercise to keep your fitness levels and muscle mass up as these start to decline after the age of 35. This is where eating certain superfoods can help you feel healthier, and even give you an energy and a zest for life that you may have never before experienced – especially if you have always numbed yourself out with sugar and junk foods. It really does work: when you start to make even small changes for your health you will start to feel good, and you will become ‘addicted‘ to that high of feeling good, it’s like a natural high, except you will be high on life. Start incorporating these superfoods into your diet, the more the better, and you will start to feel the difference within days – and mind blowingly different over time in both body and mind. Don’t forget, finding your way to this kind of health is a journey and you will need to reprogram yourself gradually if the changes are to stick, therefore taking things one step at a time is key to your success. Don’t beat yourself up if you fall off the wagon, as this is the kiss of death when it comes to permanent change, so just forget about it and move on immediately. 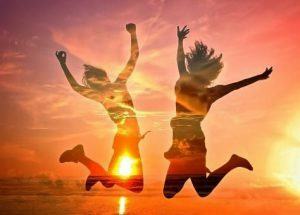 Don’t wait until the next day to start afresh, or worse still – next week, just get yourself straight back on that horse! 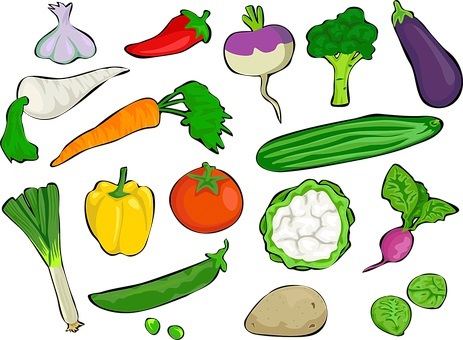 This list of foods is a great place to start, but if you want to take things to another level you should gradually move towards a more plant based diet altogether. This will automatically cause you to consume a lot more alkaline and antioxidant rich fruits and vegetables, all of which will lower your chances of disease and keep your immune system strong. Avocados are the first on this list, as they truly deserve to be the number one superfood. They are bursting with heart healthy monounsaturated fatty acids, contain high amounts of potassium (more than a banana), are high in fiber, and also boast high levels of vitamin K, E, C, B5, B6, potassium, and folate. You can easily incorporate avocados into your diet by adding them to smoothies, salads, sandwiches, or making lovely guacamole; or just chop them and add them as a side with any meal. Squeezing lemon juice on avocado not only adds to the flavour, but also stops them from going brown and oxidising – something that happens very quickly after exposure to air. Lower Cholesterol – Can help lower cholesterol and triglyceride levels, thus cutting your risk of heart disease. Boost vitamin absorption – Avocado’s contain fats that boost the absorption of all the other nutrients contained in it. Eating fats such as avocado (or any other healthy fat for that matter) along with your meal will help boost the absorption of vitamins A, D, E and K, and the antioxidants by up to 15 fold. Now that’s impressive! Offer eye protection – Due to their antioxidants lutein and zeaxanthin – these nutrients dramatically reduce the risk of cataracts and macular degeneration. 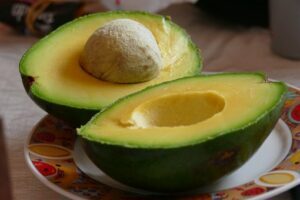 Help you to lose weight – Avocado’s are low GI and so help to keep your blood sugar stable, plus their fats make you feel satiated and full for hours, which will help stop you from snacking later on. This really does work: I have half an avocado with my main meal every day and I’m full for the rest of the evening. The avocado also helps you to lose stomach fat specifically. These little purple gems are not only low in calories and sugar, but also contain one of the highest amounts of antioxidants of all the common fruits and vegetables. The main antioxidant compounds (or flavonoids as they are otherwise known) that they contain are called anthocyanins, and these are the reason for its super powerful antioxidant qualities. Offer cancer protection – Due to their antioxidant capacities they can help neutralise free radicals and reduce DNA damage, meaning they can help protect you from cancer. Lower heart disease risk – Can protect LDL (bad cholesterol) in the blood from oxidative damage. Oxidative damage to LDL cholesterol is a vital step towards heart disease and so MUST be avoided. Help lower blood pressure – Considering high blood pressure is a pre-curser to strokes and heart attacks, keeping it down is a must and just another of the many great reasons to eat blueberries. 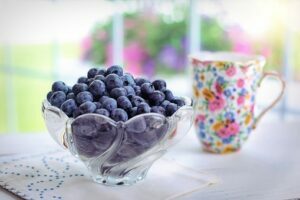 Help in the prevention of heart disease – Although only small studies have been done on this so far and with much success, it seems likely to be true given the already known benefits blueberries have on the pre-cursers to heart attacks. Improve memory – As oxidative stress can affect the brain, blueberries may help to improve memory and brain function due to their high amounts of antioxidants. Anti-diabetic – The compounds called anthocyanins in blueberries are anti-diabetic due to their beneficial effects on insulin sensitivity and the metabolism of glucose which then helps to lower blood sugar levels. Ward off bladder infections – Just like cranberries, blueberries can help fight urinary tract infections by preventing bacteria binding to the wall of the bladder. Broccoli is full of fiber, vitamins B6, B1, A, E, potassium, magnesium, manganese, omega 3 fatty acids, protein, zinc, calcium, iron, and niacin, and is an easy and tasty side dish. It’s also one of the highest protein vegetables there is, making it great on a plant based or vegan diet! Help prevent and treat some cancers – due to its powerful anti-carcinogenic compounds and other anti cancer nutrients broccoli can be helpful in the treatment of cancer, and is especially beneficial for breast and uterine cancer as it helps remove excess estrogens from of the body. Be a great detoxifyer of the body – broccoli helps remove free radicals from the blood, therefore purifying it of toxins to help prevent diseases. Anti aging – can slow down the aging process due to its antioxidant vitamins of C and E, and its essential fatty acids, all of which the skin, hair, and nails need to look glowing and stay youthful. Broccoli also helps reverse the negative effects of sun damage thanks to the photonutrients it contains. Be great for stomach problems – As broccoli is high in fiber, it helps with constipation. And its other nutrients such as magnesium also cure acidity, help digestion, and help the absorption of all the other nutrients it contains. 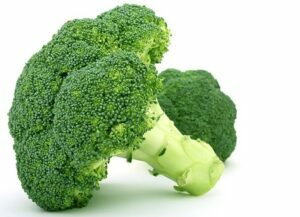 Helps prevent heart disease – Steamed broccoli specifically, can help prevent heart disease because its high nutrient content helps to reduce bad cholesterol. Steaming helps keep broccoli’s fiber in tact, and also helps it to retain more of its nutrients. Eye health – Broccoli contains an array of all the nutrients needed to maintain eye health, thus protecting against macular degeneration and cataracts. Improved immunity – All of broccoli’s impressive nutrient profile work together to boost the immune system. Great for bone health – especially in the elderly, children, or pregnant and lactating women. Broccoli is full of highly absorbable calcium, making it perfect for strong bones. Help treat anemia – due to its high amount of copper and iron, both of which are lacking in those with this condition. Help regulate blood pressure – Chromium is found in abundance in broccoli, and is a compound that helps regulate blood sugar which in turn regulates blood pressure. Chromium picolinate supplements are often used to aid weight loss and help with blood sugar control. Beetroot, or beets as they’re sometimes called are high in potassium and a good source of many other minerals, such as calcium, iron, magnesium, phosphorus, copper, zinc and sodium. Beetroot is often used by athletes for its endurance properties therefore making it on this list of superfood superstars. You can roast them, juice them, or grate them finely and eat raw in a salad. They’re also delicious grated with apple then drizzled with some fresh orange juice and olive oil. Help lower blood pressure – due to their nitrate compounds that convert into citric acid, in turn helping to relax the blood vessels. Increase muscle power in heart patients – One 2015 study showed that the nitrates in beetroot juice increased the muscle power of patients in heart failure by 13% just 2 hours after consuming the juice. Slows down the progression of dementia – These same nitrates increase blood flow to the brain, specifically the frontal lobes which are associated with cognitive behaviour and thinking. Cancer prevention – The vibrant colour in beetroot comes from an antioxidant called betalain. These betalains may help protect against cancer due to their free radical scavenging abilities; they also help to destroy the unstable cells which could lead to cancer in the first place. 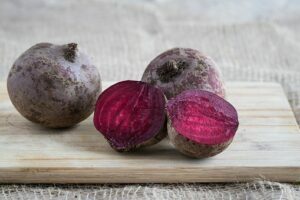 Immune supporter – Beetroot contains good amounts of vitamin C, which we all know is great for the immune system; and as an antioxidant, vitamin C also scavenges the free radicals in the body. This makes it an impressive anti-ager due to the fact it also helps with the production of collagen, a compound akin to gold dust in the anti aging world and keeps skin youthful, vibrant, and plump. Supports the liver – Another substance in beetroot called betaine helps reduce and prevent deposits of fat in the liver. It also plays a role in helping protect the liver from toxins. May help reduce bad cholesterol – this is due to its high amounts of phytonutrients and flavonoids. Beetroot can turn your urine and stools red, but do not be alarmed by this as it’s actually perfectly harmless. If you have low blood pressure then beetroot juice may lower it further, but only if drunk regularly, so again, don’t panic about it too much. Do not drink beetroot if you are prone to calcium oxalate kidney stones. Almonds are a great low GI snack and are packed with fiber, protein, and other antioxidants that work together to give you a boost of energy. They are the most nutritionally dense of all the nuts, and are a great source of vitamin E, magnesium, phosphorus, calcium, iron, and potassium. They are also an easily transportable, non perishable snack that can be kept anywhere. Be beneficial to the heart – and may help reduce bad cholesterol. Can help you lose weight – Snacking on almonds in moderation, and instead of other junk foods, automatically ups your intake of protein and fiber, therefore making you feel fuller and more satiated. They will also stabilise your blood sugar thus stopping that urge for sugary junk foods. Another plus point for almonds (and in fact ALL nuts in general) is about 10-15% of their calories are not even absorbed! – so yet another reason to make them one of your favorite weight loss snacks. Help control blood sugar – because of their low carbohydrate, high fat, protein, and magnesium ratio this makes them the perfect blood sugar balancing snack for diabetics. Garlic is full of a sulfur containing compound called allicin which is prized for its antibacterial properties, and also many other nutrients including vitamin B1, B2, B3, B6, C, calcium, iron, magnesium, manganese, sodium, zinc, potassium, and phosphorus. It also offers triple protection as an anti-viral, anti-bacterial, and anti-fungal all in one. If you don’t like the taste of garlic then you really should consider taking supplements as you just can’t afford not to have these fantastic benefits in your life. Is anti aging – Garlic purifies the blood, and flushes out your system to give you a healthy glow; it also protects the skin from the free radicals AND slows down the depletion of precious collagen. Can kill cold and flu viruses dead! 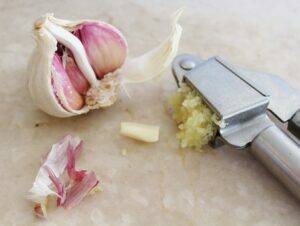 – Garlic can kill these viruses and stop them from even getting a hold on you in the first place. I have taken a 2000 mg garlic supplement for the last 5 years and I have never had a cold, flu or virus in that time. Prior to doing this I regularly caught colds all through the winter months. You really do need to buy a garlic supplement that isn’t actually odourless as it is the smell that means it still has all its active compounds intact. Just take it before a meal, or bed, if you are worried about vampire repelling garlic breath. Can help prevent heart disease – Garlic not only has the ability to help lower cholesterol, but it also helps regulate blood sugar and blood pressure – all of which lowers heart disease risk. Is highly anti-bacterial, anti-fungal, and anti-viral – Garlic has been used for the last 7000 years in the treatment of fungal, bacterial, and parasite infections – so nobody can say that it’s not tried and tested. If you are asthmatic you should consult your doctor before either eating large quantities or supplementing with garlic, and you should stop garlic supplements one week before an operation. I couldn’t finish this list without mentioning adding a very important detoxifying food to your healthy eating plan. If you cannot get enough of the above superfoods into your everyday diet, OR if you have extra cash to spare and want to boost your antioxidant intake even further then you should most definitely be using some kind of green superfood, such as chlorella, spirulina, wheatgrass, or barley grass. Remember, HIGH antioxidant intake is the key to health and anti aging. Green super food powders will not only ensure you keep your body detoxifying itself adequately from all the hundreds of chemicals, fumes, fertilisers, and other environmental toxins it is bombarded with every day, but they will also help to keep you trim. Yep, that’s just another awesome fact about these nutrient dense powders: when your body can safety eliminate toxins (toxins are interestingly stored into your fat cells), then these cells will begin to shrink, which means you will shrink too! 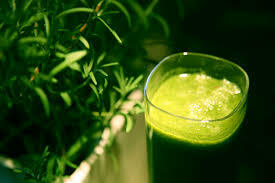 You should ideally take a mix of ALL the powerful green super food powders, such as ‘Dr. Schulze’s Super Food Powder’. This is a botanical organic blend of lots of algaes and includes spirulina, chlorella, blue-green algae, wheatgrass, seaweed, beetroot, cherry, spinach, rosehips, and much more. You feel this stuff working within about 20 MINUTES, you will notice an energy boost and see your eyes literally sparkle – you can only imagine the good it’s doing on the inside if it’s doing all this on the outside! Tip: Unless you’re sick or recovering from an operation then you do not need as much as it says on the jar. 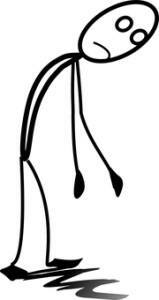 I find I get the benefits from 2 heaped teaspoons in water or juice per day, after a meal. Good to read that all those six superfoods you write about are in my daily menu! What are your favourite superfoods other than those six? My favourite is raw cacao but I have read even bad things about it… I personally believe it is one of the best superfoods (according to science) but should I believe the bad things written about it? Do you have any knowledge about it? Hi Melissa, it’s really great that you eat all those things every day like I do. Other superfoods I love are sweet potatoes, pomegranates, green tea, goji berries and kale but I guess I will put those in another article ha ha. As for cacao I love it….too much! I eat dark chocolate every day, though not always raw chocolate (which is better) but I believe you need to have it in moderation. Here’s why – I had a hair analysis not long ago and it showed that my copper was way high and my zinc low, my herbalist said that this was definitely to do with my eating of too much dark chocolate as it is high in copper. These high copper levels threw my zinc out, and I knew I hadn’t felt right for a while but couldn’t put my finger on it, so it so this explained a lot. So, I drastically cut down my chocolate and did feel better, less wired and I slept better. So moral of the story, too much of a good thing can be bad. And don’t forget cacao does contain caffeine and is actually highly addictive (I have heard it called crackao in the raw food community). Hope this helps, just eat cacao in moderation! Hey there, thanks for the informative article! I always forget about beets as one of the healthiest foods you can eat. I really want to start including them in my diet. Also, now that it is getting cold out and I hardly ever see the sun I need to add more vitamin D to my diet. What do you suggest for getting vitamin D from real food as opposed to supplementing? Hi Daniel, yes it is very important for you to get vitamin D if you are not getting at least half an hour of sun on your skin a day. The best thing you can do is to try and get out for at least half an hour a day during daylight hours, even if it is cold and grim, there are still more sun rays coming through than you think. Also, try to eat lots of oily fish, dairy products (if you can tolerate them), eggs, particularly the yolk, and also you will find that a lot of cereals and even orange juice is usually fortified with it. If you are feeling tired a lot with achy muscles then you may find a supplement through the winter months will help give you the extra amount that you need. I eat many foods you mentioned in your article. It is always nice to know the benefits of the foods you eat. Thank you for the well written article. I found it very informative and helpful. I am starting to increase more fruits and vegetables and cutting down meats in my diet. I feel as if I have more energy when I consume more vegetables. I do have a question, what vegetables have proteins? Thank you! Hi Hong, it’s good to hear you eat a lot of these foods. You must be pretty healthy then! I gave up meat and dairy completely 9 months ago to eat a mostly plant based diet and it is the best thing I have ever done. I have more energy than ever and my skin is glowing, plus I just feel ‘cleaner’, I can’t explain it. I only advocate this diet if the person knows what they are doing (as I’m sure you do) in terms of getting all the nutrients they need i.e. good amounts of proteins and essential fatty acids which you will need to get from nuts, seeds, pulses and maybe some supplements like I do, especially B12. Good vegetable sources of protein are corn, broccoli, kale, sprouts and green peas (although they are technically a pulse). Soy beans also have massive amounts of low fat protein and are another thing I eat a lot of. Also. like I say in my post, have an avocado a day, especially when eating plant based, for all those wonderful, healthy fats and other nutrients. I am loving this, all the foods listed I love! Especially avocados. My toddler adores them too. We have eaten lots recently and everyone keeps telling me I’ve reduced in size. Hurrah! We also grow our own broccoli and onions. Fantastic information. Thanks for sharing! Hi there and thanks for reading. That’s so great that you’ve reduced your size since eating avocado as that just proves the point about how good they are for keeping blood sugar stable. Fantastic news! And I love the fact you grow your own broccoli as it would be so much fresher and full of nutrients when you can just pick it and eat it straight away. Broccoli is also one of the higher protein veggies so another good reason to eat lots of it. As an athlete, I value my health. For this reason, I am always looking to optimize my eating habits. All of these foods sound like an excellent addition to my diet. Do you have any recommendations for recipes that include these foods? Hi Alex, Wow, you’re an athlete! What sports do you do then? I am very interested as I do sports nutrition and know just how important it is to performance. As for ways to eat the foods on the list, I would definitely eat half an avocado a day. It would be good to eat it with other vegetables as the fat will up their nutrient absorption. You can put blueberries on your breakfast cereal or with porridge. Also add some almond butter into your porridge for extra fats and protein, making it a well rounded start to the day. I like to roast beetroot slices in coconut oil, garlic and balsamic vinegar. Yummy. Hope that helps. Hi Paula, I’m happy my article has given you food for thought. And yes, a lot of these foods are easy, cheap and tasty, so plenty of reason to eat them. Avocadoes are also my favourite, I probably have one every day ha ha.